Learn Bible Prophecy: Where Is The United States Headed? I believe a prophecy-related issue is on the horizon. Namely that Israel will find itself alone in defending its citizens from many nations wanting to take its land, take its power, and harm its citizens. Historically, the U.S. has exercised its veto power within the U.N.; therefore, Israel has been saved from U.N.-related measures seeking to harm Israel and its citizens. However, as we consider the U.S.-Israeli relationship under President Obama is very strained, we must consider that if his campaign platform of "change" were to extend to Israel, then we will continue to watch the withdraw of much-needed support for Israel. Understand, President Obama was talking about Israel building homes in the area of land called the West Bank, yet that land is rightfully Israel’s via a promise from God to Abraham and his descendants recorded in Genesis 15:18-21, as well as by the fact Israel took the land back during the Six-Day War, which they were lawfully allowed to do under international law and not unlike how most nations, including the United States, have the land they occupy. It's important that we recognize Israel (about the size of New Jersey) does not have land that it can easily just "give away", especially with a growing population. Moreover, if the West Bank were to be given to the Palestinians, Israel would then be only nine miles wide in a location directly north of Tel Aviv. 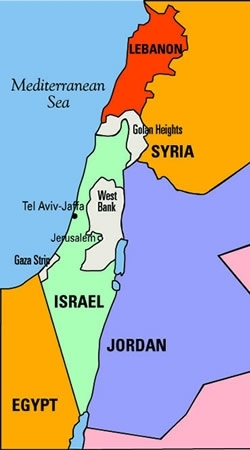 As we look at a map, we realize that it would be nearly dividing the country in two and that it would make the Israeli citizens much more vulnerable to military attack. If that’s not enough, Israel is being asked to give the land to an enemy that repeatedly fires missiles and launches attacks against Israel and her people. What makes President Obama's rhetoric contrasting is that after the disputed elections in Iran (with protestors in the streets complaining the election was not democratic), he said that he would not get involved because Iran was a sovereign nation; yet a short time later he wants to meddle with Israel's right to build homes within its own borders, and he continues to do so today as much as ever. Of course, another pressing threat to Israel is that Iran's leadership is bent on destroying the Jewish nation. Iranian President Mahmoud Ahmadinejad has repeatedly said that he wants to "wipe Israel off the face of the map." At this point in time, when the U.S.-Israeli relations are the coldest they have ever been, such threats must be taken seriously. I belief that Iran is happy that President Obama has been reelected for a second term given his cold relations with Israel and unwillingness to thwart Iran's desire to build nuclear weapons. When I speak to people about Bible prophecy, one of the questions often asked is where the U.S. fits into the prophetic scene. The Bible does not mention the U.S., which is perplexing given the superpower status the U.S. holds. The only explanation is the U.S. is neutral during the end times events at best, or incapable of helping Israel at worst. Of course, this serves the way in which God once again will permit Israel to be victorious, which would not be as miraculous if a superpower were helping. The reason why the U.S. is absent from Bible prophecy is not clearly known. Many eschatologists theorize that the Rapture will have taken the Christians away, which would turn U.S. policy towards Israel very negative. In fact, the Rapture would thrust the entire world into a chaotic situation and open the need for a so-called “savior” to offer peace and stability to a world in turmoil; hence, it would provide an opportune time for the Antichrist to rise to power. Other theories suggest that as the U.S. economy continues to struggle, there will be temptations from near-sighted politicians to cut military spending prior to when we will need a strong military the most due to many geopolitical tensions. I explain that theory, along with others, in more detail in my book, Pray That You May Escape. As we ponder where the United States is headed and continue to watch the news unfold, we should follow Christ's words in Luke 21:36, wherein Jesus told us, "Be always on the watch, and pray that you may be able to escape all that is about to happen, and that you may be able to stand before the Son of Man." 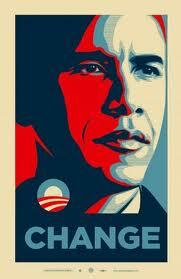 1. Who Is President Obama?